It is important for drivers to understand how to use roundabouts otherwise accidents can occur. Roundabouts improve traffic flow as they act as speed breakers and prevent accidents on four way lanes. However, it is important for drivers to understand how to use these roundabouts otherwise accidents can occur. How to find out who is at the fault? 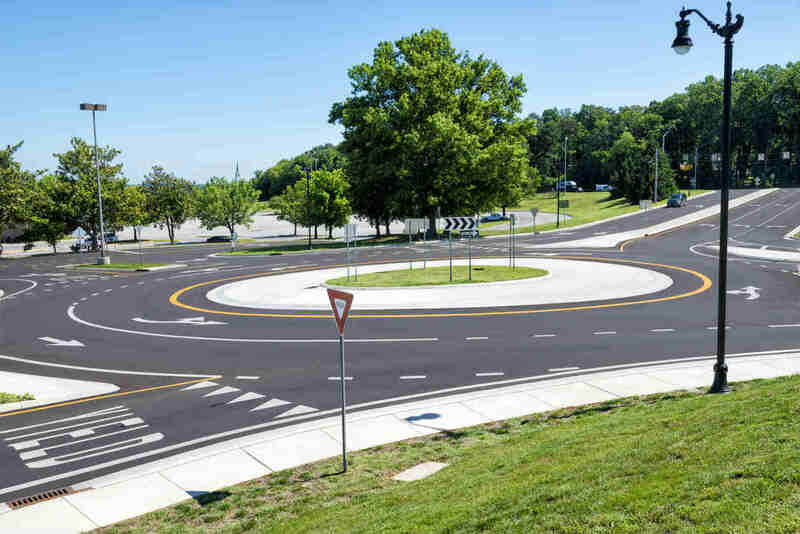 While there are quite a few roundabouts in the St. Louis area, not many drivers know how to use them properly. These drivers tend to get confused and panic at the last moment thus causing an accident. In most motor vehicle accidents, a person is more likely to have a successful claim if he/she had the right of way at the time of the accident. In a roundabout, the driver who is already in the traffic circle has the right of way, and other drivers should stop and wait their turn before entering the roundabout. The driver who tries to beat the driver who has the right of way around the circle by pulling ahead is likely liable for the crash. Is it a Rear End Accident? You cannot always claim that the vehicle hitting from behind is at the fault but in the case of roundabouts, this is often the case. In a roundabout, following distances are short, so it is important to be extra careful in order to prevent rear end collisions while turning. If the distance is too short, the following vehicle is likely to collide with the leading vehicle, if the leading vehicle has to brake suddenly. It is important to know that changing lanes while driving can cause serious accidents. If someone was changing lanes, and there was an accident, the following car will often be able to hold the other driver liable. In a multi lane roundabout, it is the driver’s responsibility to know whether or not to enter a particular lane. If by mistake, a driver enters the wrong lane and swerves sharply into the roundabout, it may cause accidents or cause a pileup. If you get into a roundabout car accident, you should take pictures of the damage and accident scene. Additionally, you should also collect contact information of any eye witnesses. All the evidence that you gather will make it easy for you to prove your claim. It is also in your best interests to speak with an experienced personal injury attorney as soon as possible. Your lawyer can protect your rights and will ensure that you receive the compensation you are legally entitled to. Call (314) 361-4242 for a free case evaluation.